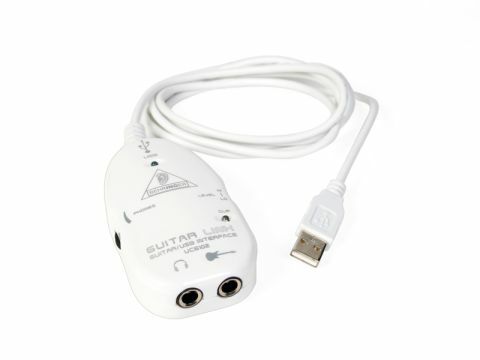 Budding musicians looking to record guitar straight to their laptops would do well to check out Beringer's Guitar link, which enables your guitar and laptop to communicate through a USB port. The plastic device is well made and tough enough to survive life on the move. A CD, featuring three virtual amps – from classic rock to psychedelic – is included, but after a 30 day trial period with all three, you must choose one to stick with. Installing the software is quick and easy and we were soon recording onto our laptop using the included Audacity software. Getting some of the effects to work took some fiddling but this is still a great piece of kit for bedroom rock stars.